Lock and load with paintballs, pop that smoke grenade and then…………….? 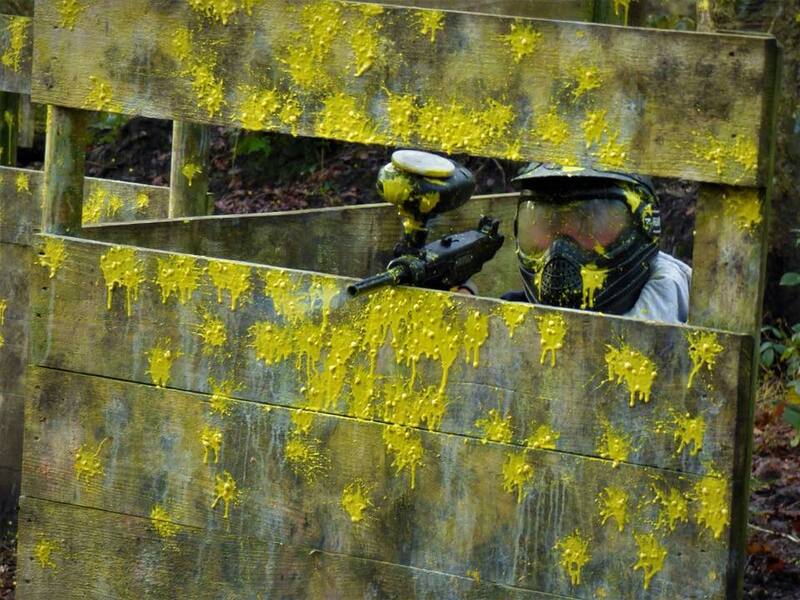 The age old paintball question does not go away when you are behind a barricade covered in paintball splats. Do I go for the flag in the Castle Zone and win the game for the team, or do I just hide there hoping the other team will run out of ammo? It doesn’t matter which way you cut it, if you are behind this sort of barricade and you are feeling the heat from the other team, make that decision and go for it. The old saying attack is the best form of defence is often true in our experience at Teamforce Swansea. Ask for covering fire from your team mates, check you are fully loaded with paintballs, pop that smoke grenade to provide some cover and then go for glory. You know you want to! This entry was posted in Uncategorized and tagged attack, hide, paintball battle, paintball games, run away.